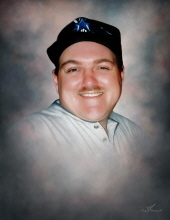 Michael Edward Boudreaux was born on July 7, 1971, and passed away on January 30, 2019, at the age of 47. He loved being a son, husband, father, and truck driver. He enjoyed activities such as riding horses, mud riding, fishing, and just being outdoors. Michael as a member of a motorcycle club called “Skull Machine”. Anywhere he went, he never met a stranger and once he loved you, it was with his whole heart. Michael will be remembered as a kind, gentle, and silly man who loved his mama, wife, daughter, and canine companion, Lillie, above all others. He will be remembered for the jokes he told and as he always said, “If I didn’t like you, I wouldn’t pick on you”. Michael will be remembered as the man who brought love and laughter everywhere he went and left memories that will last forever. Preceding Mr. Boudreaux in death are his grandparents, Alvin Pousson Sr., Carolyn Gidlow Pousson, Stanley Boudreaux, and Orisca Boudreaux; uncles, Alvin Pousson Jr. and Russell Pousson; and cousin, Chad Pousson. A memorial service for Mr. Boudreaux will be held at 2:00 p.m. on Saturday, February 9, 2019, at Alford Heights Baptist Church. A visitation fime for the family and friends of Mr. Boudreaux will be held from 12:00 p.m. until the time of service at the church on Saturday. To send flowers or a remembrance gift to the family of Michael Edward Boudreaux, please visit our Tribute Store. "Email Address" would like to share the life celebration of Michael Edward Boudreaux. Click on the "link" to go to share a favorite memory or leave a condolence message for the family.